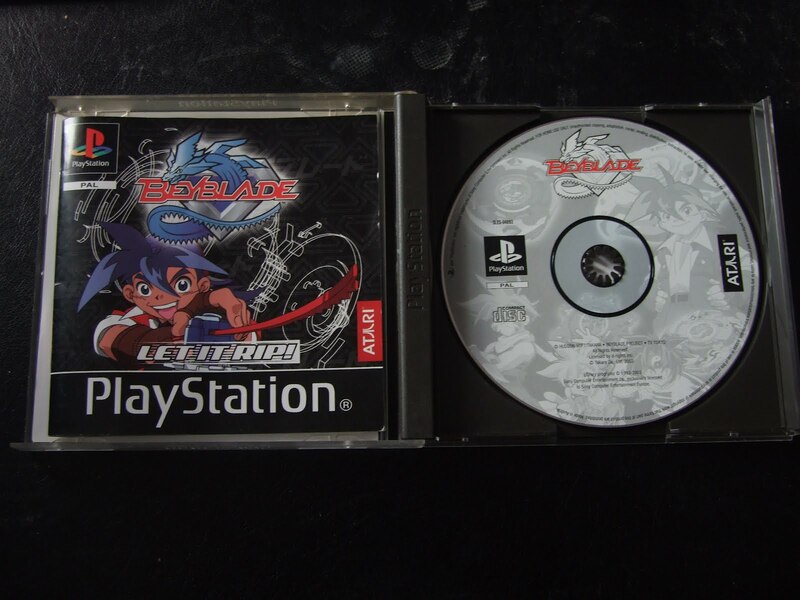 Retro Diary – 26/8/12 – The most active Sunday EVER! Quantum of Solace Arrived Today! Thankfully, the lag/stutter that was in the demo isn’t here! It’s still full of bugs, and it runs choppy on my PC, and no matter what the setting are, it runs the same, and this PC can run Blood Stone on High Settings at 60fps! Once you look past the flaws, it’s a brilliant game, it’s no wonder it got so much praise back when it came out! I also got Rugrats: Search for Reptar on PS1 today, I used to have this back in the day, which is why I bought it again, I expected this to be one of those games I loved back in the day, but wouldn’t enjoy now, but surprisingly, it’s just as fun now as it was back then! I was at an induction to my college course today, and on the way back, I popped into G-Force, because I had plenty of money left, and wanted to spend some of it on something, because I’ve run out of things I really, really want. I found a few things I wanted, and were all cheap too! 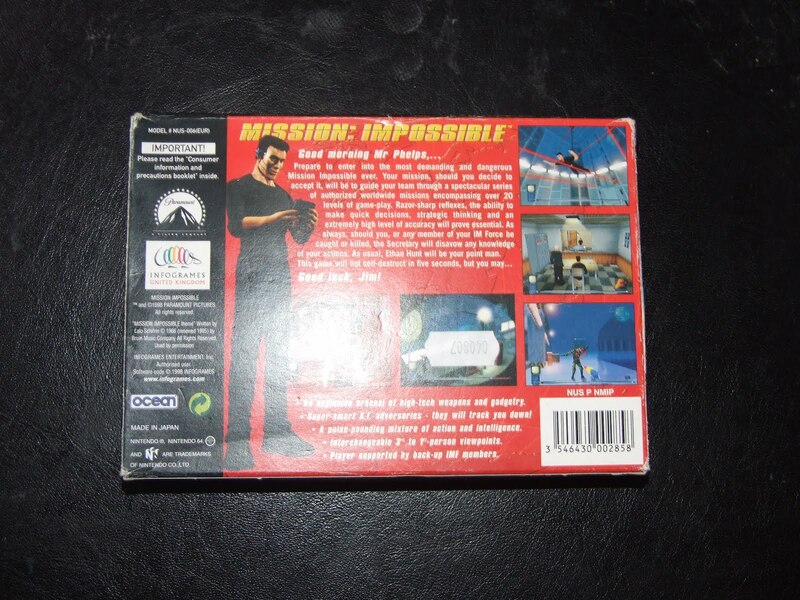 The first game was Mission Impossible on the N64, I’ve recently become a fan of the Mission Impossible series, and I’ve been tempted to get this game, luckily, G-Force had it fully boxed with manual and inlay for only £5! A Steal! 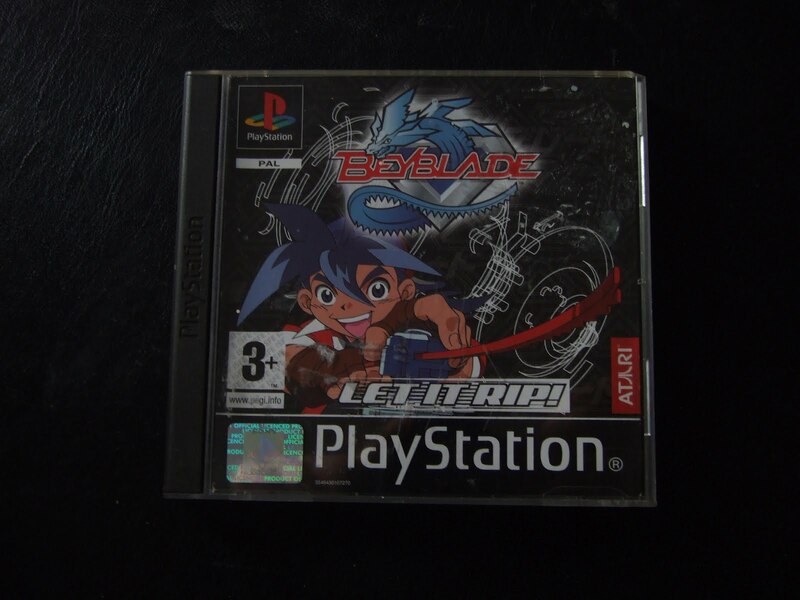 The second game was Beyblade for the PS1, again, I’ve been slightly tempted to get this, and this game was only £4! 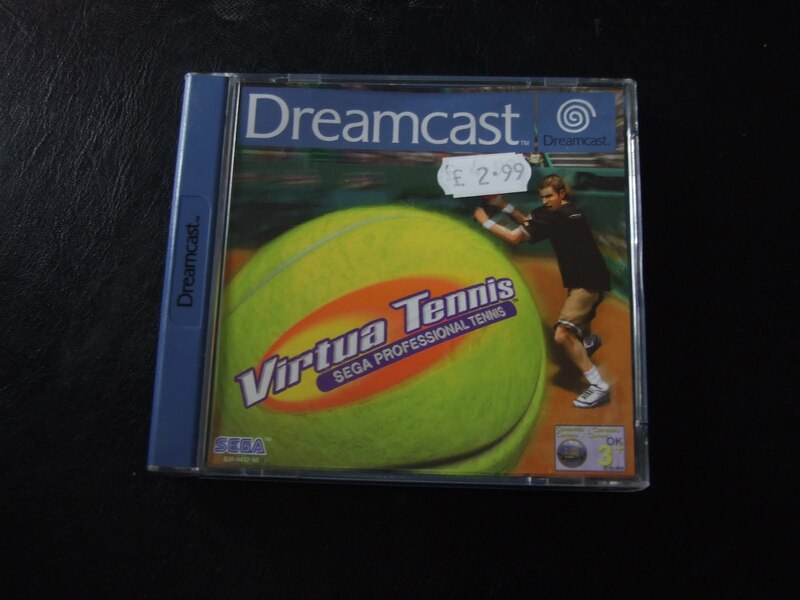 The final game was Virtua Tennis, this I wanted for a long time, I always heard good things about the Virtua Tennis games, and wanted to give it a try myself. This was only £3! All 3 games came to a total of £12 roughly. 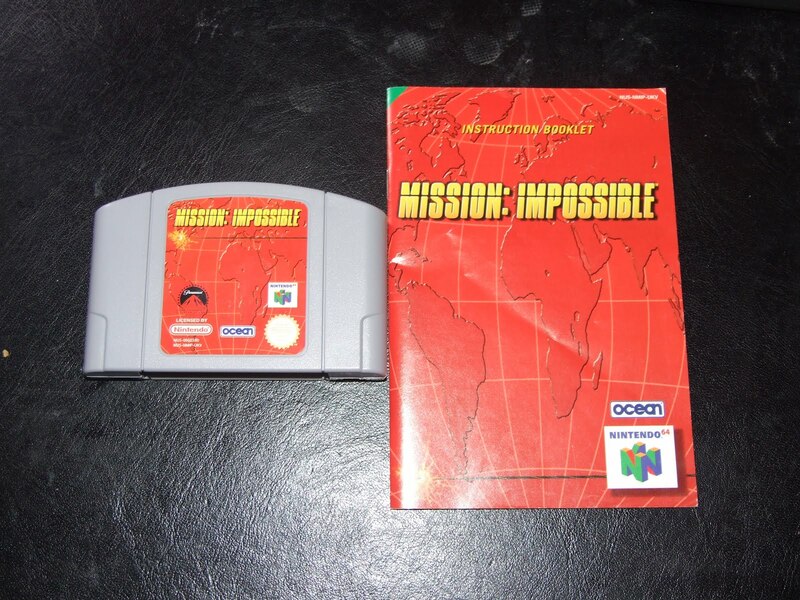 I’ve tried out Mission: Impossible, and it’s a pretty good game, one thing worth of not is that it’s one of the few N64 games to support widescreen! I got Blur and Burnout Paradise: The Ultimate Box for PC today. Both games have a similar problem, registering, the games install just fine, but you need to register the games when you start them, but guess what, servers for both games are down, so I couldn’t, thankfully, for both games, you only needed to register the key to play multiplayer, and seeing how both servers are down, that’s not a huge loss. However, because both games are no longer online, it’s be hard to patch them, burnout paradise wasn’t a big deal, you can download the patches from websites that host patches no problem. Blur, however, you could only download the patches from their servers, which are offline, and the latest update further optimises the game (makes it run smoother), so it was a big deal, eventually, I managed to download the patch after literally hours of research. Both games are terrific! So much fun, and it’s great to know that you can play them after the servers are down and the game has ceased production, because it’s already happened! I’ve completed Quantum of Solace today, and what a game it was, although the final boss was too easy in my opinion, even for easy mode. As if by some miracle, I was suddenly able to connect to the Blur servers, and registered my game! Yes! Although no one is online… Oh well, at least I was able to connect to my Facebook account, that has to count as something right? My brother got Guitar Hero: Warriors of Rock on PS3 today, I had a shot, and it’s a lot harder than it looks! It was PS3 week this week, because my brother requested it, well, it was supposed to be, but before he could even take it out of the bag it was in, we had to leave, we were only there for half an hour! Shortest console week summary, ever! After that, the console weeks will go back on schedule, so in case I forget, I’ll remind my future self, we’re at PS2! Batman Arkham Asylum arrived today! It’s just as awesome as the demo made it out to be! I’ve been playing that all day. 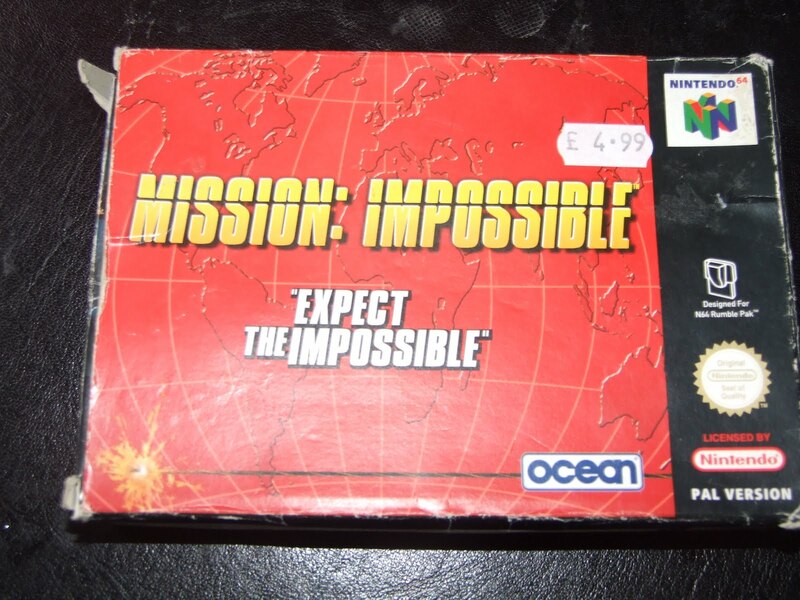 Quoted from the Retro Pick-Ups video posted that day: I was spending the day with my friend, as a sort of birthday get together, as his birthday was coming up, while we were out, we went to CEX, which a store that people bring old games, CDs and DVDs and they sell them, my cousin, Giancarlo, goes in there a lot, and says it’s a great store, so I went in, and disappointingly, it was mostly PS3 and Xbox 360 games, I managed to find a section that had 6th gen console and PC games, so I browsed around that part for over half an hour. 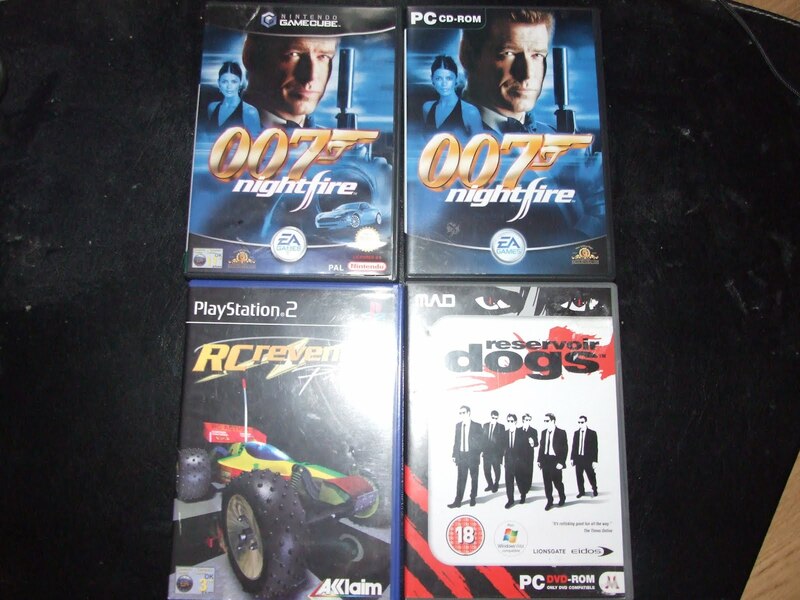 I got 007 Nightfire on both PC and Gamecube, because I heard that the PC version was cut-down from the console versions, but I wanted to try it anyway, it was only 75p anyway, so why not? The Gamecube version was £1.50. I also got Reservoir Dogs on the PC for £1.50, I’m a big fan of the film, I have it on DVD, have it’s soundtrack ripped to my PC (Turns out my dad used to have it, well, we found it at our old house. ), and I always wanted to play the game, now was my chance. 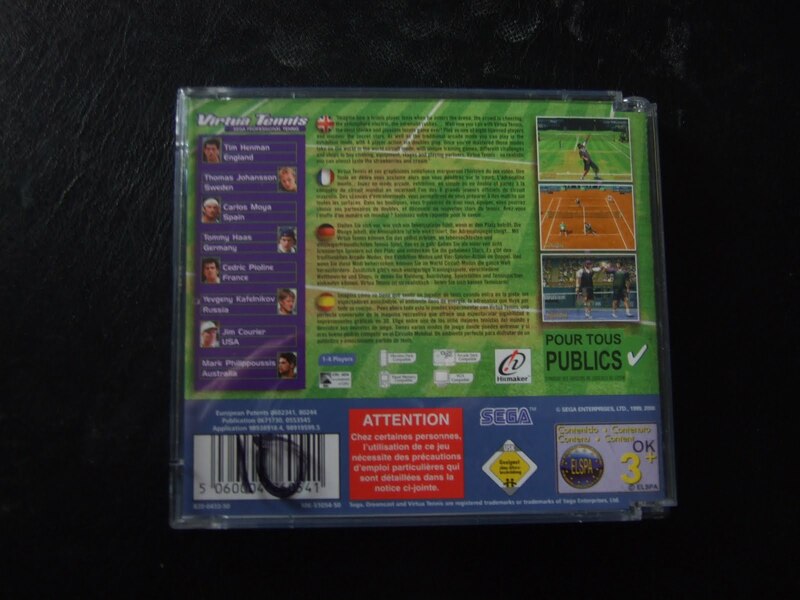 Lastly, I got RC Revenge Pro on the PS2, just because I can! Nightfire on the Gamecube was brilliant, it got every right, it’s not as good as Goldeneye, but it’s definitely up there! The PC version, however, is actually kind of rubbish, they’ve changed the game completely! The only thing that remained is the story, and even then, many scenes have changed, everything else is completely different. Reservoir Dogs was badly optimised and was an extremely shoddy console port, but it’s good fun in my opinion, so I’ll probably be playing it to the very end. I tried out a demo of Need for Speed Underground 2 on the PC, owning it on the PS2 and Xbox wasn’t enough for me! Well in all honestly, I loved the game, but didn’t like how it ran slow and looked rather blurry, after realising there was a PC version, it shouldn’t have surprised, need for speed originated on the PC and 3DO and every game in the series is available on PC. It was much better than the console versions in my opinion, it runs much faster, you can turn all the blurring effects off! However, it doesn’t support widescreen resolution, but the beauty of PC gaming is the modding community, and low and behold, there exist patches (user created), that make it support whatever resolution you want, so I installed one, and it looks great! I got a pack of 3 games today, all Codemasters racing games, all with creative titles, they are DiRT, GRID and FUEL! The awesome things about DiRT and GRID are that when it comes to selecting your profile, you get to choose your nationally, and you can choose to be Scottish! Finally, games that acknowledges us a separate country! The games are a lot of fun as well, I had a bit of trouble running DiRT at first, but once I was sorted, I was off! I got a Need for Speed Collector’s Pack today, which contained Need for Speed Underground 1 & 2 and Most Wanted, I’ve only played the Underground games, I loved them both on the consoles, and it’s only made better on the PC because of the higher framerate and the ability to turn off those annoying blur effects, the only downsides to them is that don’t support widescreen resolutions, so I get thick black bars on each side, but you get used to it. It was PS1 week this week, and Steven couldn’t come, and Giancarlo had to move all of his stuff to his new flat, and only had time to play a game for 5 minutes. Basically, like every other week recently, everyone’s either not present or don;t have the time. I played a bit of Jinx and Formula 1, then me and Giancarlo had a few games of Tekken 3, then he played a game of Vib Ribbon. After that, he had to leave, is it me or are we not playing games nearly as often as we did when I started this? I’ll see next week if we get time to play next week’s consoles (I’m leaving it to my cousins), to see if the time and effort put into packing them and setting them up is worth it. 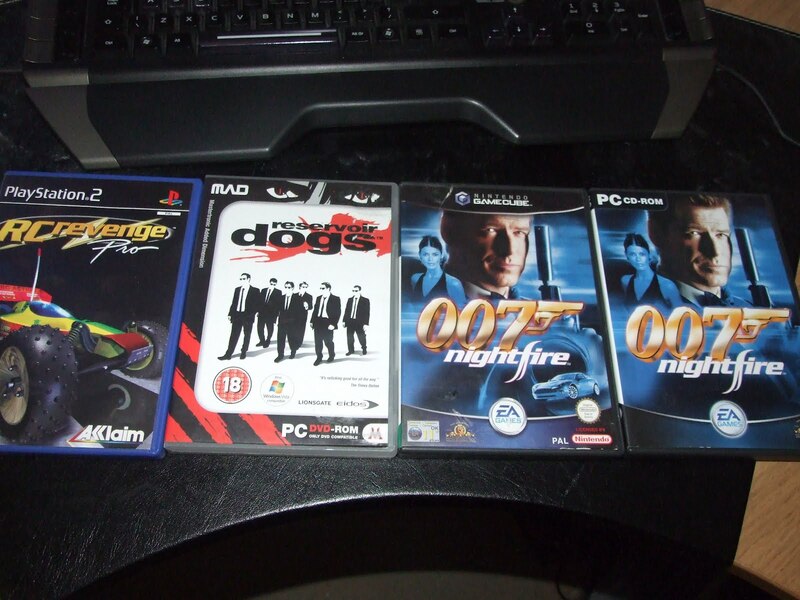 Retro Pick-ups: Stuff I got from CEX. I was spending the day with my friend, as a sort of birthday get together, as his birthday was coming up, while we were out, we went to CEX, which a store that people bring old games, CDs and DVDs and they sell them, my cousin, Giancarlo, goes in there a lot, and says it’s a great store, so I went in, and disappointingly, it was mostly PS3 and Xbox 360 games, I managed to find a section that had 6th gen console and PC games, so I browsed around that part for over half an hour. Nightfire on the Gamecube was brilliant, it got every right, it’s not as good as Goldeneye, but it’s definitely up there! 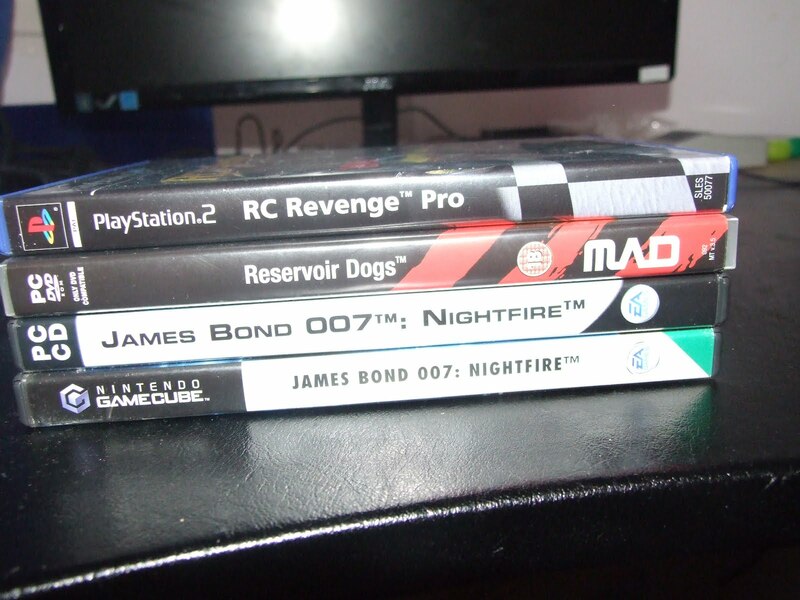 I’ve still to play RC Revenge Pro, I want to get and complete the original RC Revenge on the PS1 first. I saw the Dark Knight Rises today, and it was brilliant, it’s my favourite film this year, and seeing how brilliant all the other films I’ve seen that came out this year, it’s saying a lot! I’ve downloaded the Batman Arkham Asylum Demo today, but at first, it didn’t work, but I manually installed a patch for it, and it worked just fine, and I loved the demo, I am without a doubt getting the full game as soon as I can, preferably the Game of The Year Edition! I went to a Basketball summer training camp with my friend, Jamie, or “Midfield Maestro”, as he likes to call himself. I’m mentioning this because he’s staying with me for 2 nights after that, when we got home, the first thing we did was play FIFA 12 on the PC, the second thing we did… was play more FIFA 12! Then we played PES 2012 on PC. Then FIFA. Then Fronte Del Basket 2, Then FIFA 12, then NBA 2k12, which he somehow beat me at, his big ego never shuts up about it, then FIFA 12, then we watched some videos, and finally, some FIFA 12! Finally, we watched some Fawlty Towers. Both me and Jamie watched some Spongebob Squarepants, just thought I’d tell you that. We played FIFA 12 all morning, then one of my old friends came up, it’s been years since I’ve seen him, and he hasn’t changed one bit! For this purposes of the blog, and since I don’t have permission to use his real name, I’m going to call him “Rydo”. I got a lot of Birthday money today! As well as that, my cousin, Giancarlo, gave me a couple of games he got from CEX, I got The Broken Sword Trilogy on PC and From Russia with Love for PS2. My mum got my birthday cake, she showed it to me, at first, I expected, since I was 18, it would be about some rubbish about beer/alcohol, even though I’ll never drink, I hate the idea. However, it turned out it was a cake modelled into a PS1! Brilliant! My mum said she would give me my “Main” present early, it was a 160GB Ipod Classic! I always wanted one of them! What has it got to do with this blog? Who cares! I got an Atari Flashback 3, what that is, click here. I’ve been playing them pretty much all day. Instead of going to grans this week, since she was at England, along with my cousin, Giancarlo and his family, to watch the closing Olympic ceremony, my cousins came to our house for a barbecue, a perfect opportunity to play some games with Steven, and anyone else who might want to play games. We played some Atari 2600/Flashback 3 games first, Starting with Combat, then Sprint Master, and finally Maze Craze. Then we played WWE All Stars for the PS2, we played a few games. Before he left, I gave him a lend of both Stanglehold and Blood Stone 007, since they were DRM-Free (Well, DRM in the anti-used game sense.) and I completed them, he said he had always wanted to play Blood Stone, but was waiting for a Steam sale (All digital gamers are the same! ), so I gave him a retail copy to borrow! Next week we’ll be back at grans, instead of doing PS2 week, I’m brining a mystery console, I haven’t decided on what it is yet, so as of now, even I don’t know what it is! 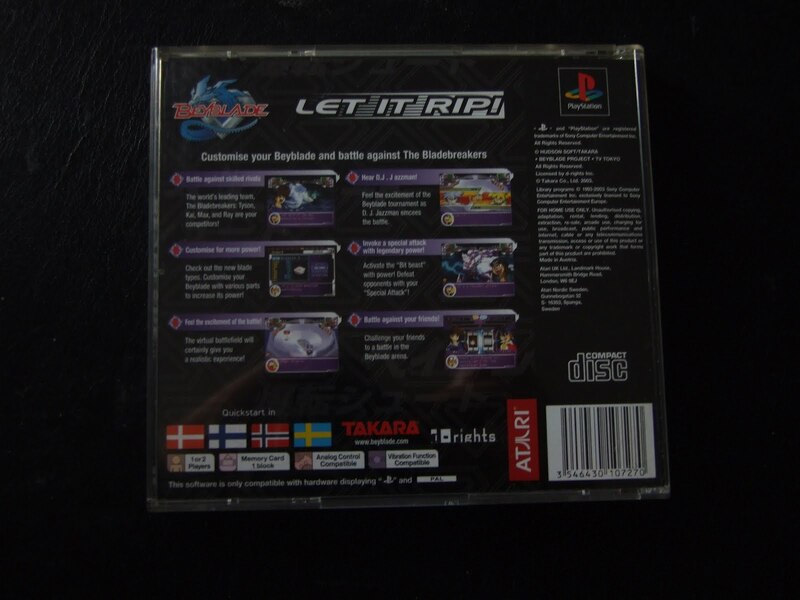 Retro Diary – 5/8/12 – "Sega of Antartica!?" I’ve downloaded the TimeShift demo last week, and it didn’t work, no matter what I did, it turns out that it’s because my CPU is quad-core, the game was designed for Single and Dual-Core, and the company that made the game went bust, so there is no fix as of yet, I’m going to find a way to run my CPU on 1 or 2 cores to get this game running. Me and my brother watched Batman Begins on Blu-Ray, never seen it before, but I’ve seen The Dark Knight, and Batman Begins was brilliant, in fact I thought this was better, but that’s just me, everyone else seems to beg to differ. I finally got the TimeShift demo to work! Although if I wanted to play the game now, every time I do, I have to change my CPU to run on single or dual-core, reset my PC to make the changes, play the game, make the CPU run on all cores again, and reset again, it seems like a lot of hassle for just one game, I’m trying to find a better solution. I watched a bit of The Dark Knight on Blue_Ray with my brother, but I wanted to go to bed about half-way though, seriously, that film is way too long! I asked about the TimeShift situation on Yahoo! Answers, and I only got one answer saying that the method I did was the only way to get it to run, but mentions that the game is worth it, I decided that I’d only play it then if there’s nothing else to play… then I realised that, that’s kind of what happening right now, I want to play something, but don’t have a game at my disposal to play, except maybe Stranglehold, but that didn’t occur to me at the time, so I decided to set my CPU to dual-core, reset my PC, and played through the demo, and holy sh*t, was it awesome! I might go as far as to say it’s one of the best FPSes I’ve ever played! Seriously! I’m glad that full game has been dispatched, and arrived! I played a bit of Soldier of Fortune on the Dreamcast, again, to check if it’s functioning properly, and it still is! I found out that Telltale games made a game based on Wallace and Gromit called “Wallace & Gromit: Grand Adventures” and, like most TellTale games, had a compilation of all episodes (Yes, all 4!) on a physical DVD, so I decided to try out the demo of episode 1 before I get the full game(s? ), and like all TellTale games, it was brilliant, so I’ll be getting it for my birthday! I’ve decided to watch the rest of The Dark Knight, and it was just as awesome as the first time I watched it! While I was watching it, I thought I wouldn’t make through the rest of the film in one sitting and that very soon I was going to turn it off for another time, but nope, I sat still, and watched it. I tried out the demo for Batman: Arkam City for the PC, just to see how it ran because according to both Game Debate and Canyourunit, I don’t meet the recommended requirements and wouldn’t be able to run the game on high settings, I put all setting on high, and it ran just fine! In fact at some points it goes up to 60fps! Maybe my CPU and RAM make up for the graphics card… ? I played a bit of Le Mans 24 Hours to check if my Dreamcast was still in full working order, so I did a simple 3 lap race, which lasts about 10 minutes, and it was working perfectly fine the whole way though! It’s Dreamcast week this week, however, for most of the time, we were just watching the Olympics. I played a bit of Shenmue II, progressed a tiny bit further, as in I now know what to do and where to go, hopefully I won’t forget that, because I don’t play it often. Me and Giancarlo played a few races of Metropolis Street Racer. Then we played a game of Ready 2 Rumble Boxing, which I surprisingly dominated, only got knocked down once, whereas he got knocked down constantly. The we had a few games at the Kart races on Sonic Adventure 2, then a few Sonic/Shadow action stages, then we decided to give the Dreamcast a rest, as it was getting too hot. As we were playing those game, I mentioned to them, that apparently there exists a Sega of Antarctica, no, you did not misread that, I mean that continent at the bottom of the world that has virtually no population. There’s no website about them, but they are a few articles floating around recently about them addressing a rumour around SA3. It’s probably fake, I mean obviously they wouldn’t gain anything from having a division in Antarctica, but I’ll probably pretend it’s real for a joke. After the Dreamcast got it’s “rest”, all 3 of us had a few games of Chu Chu Rocket. After that, Steven had to leave. Then me and Giancarlo played Virtua Fighter 3 TB. Then finally, we played Re-Volt, we had 2 races, I won one race, he won the other. Next week is PS2 week, what games do I have that we play on PS2?… Oh yeah, WWE All Stars!